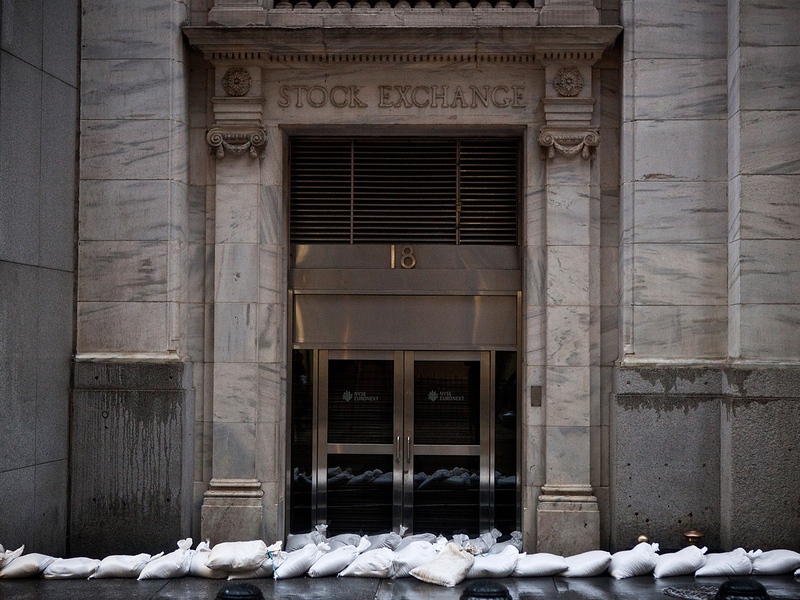 NEW YORK Stock trading will be closed in the U.S. for a second day Tuesday as Hurricane Sandy bears down on the East Coast. Bond trading will also be closed. The last time the New York Stock Exchange was closed for weather was in 1985 because of Hurricane Gloria, and it is the first time since 1888 that the exchange will have been closed for two consecutive days because of weather. The cause then was a blizzard that left drifts as high as 40 feet in the streets of New York City. Bond trading will also be closed Tuesday. The Securities Industry and Financial Markets Association called for an early close to bond trading Monday, at 12 noon. The yield on the benchmark 10-year Treasury note was 1.72 percent, compared with 1.75 percent late Friday. European stock markets fell. France's CAC-40 fell 0.8 percent, Britain's FTSE fell 0.2 percent and Germany's DAX lost 0.4 percent. Insurers such as Munich Re, Aviva PLC and Zurich Insurance fared worse than other stocks as investors worried about the potential cost of the storm's damage.